With the frigid winter months drawing to a close, many new and long-time gardeners are eager to get started on planting and maintaining a new round of plants in their backyard. However, plants can be unpredictable and difficult to keep healthy all throughout spring. We've gathered a couple good tips and tricks to keep your garden flourishing this season. While it's tempting to make sure your plants get plenty of water, it's also important to not weigh down the soil. Stepping on or watering the soil too much can cause compression, not allowing rich oxygen to get to the plant roots and thus damaging its growth. A decent commercial water hose can last up to ten years. 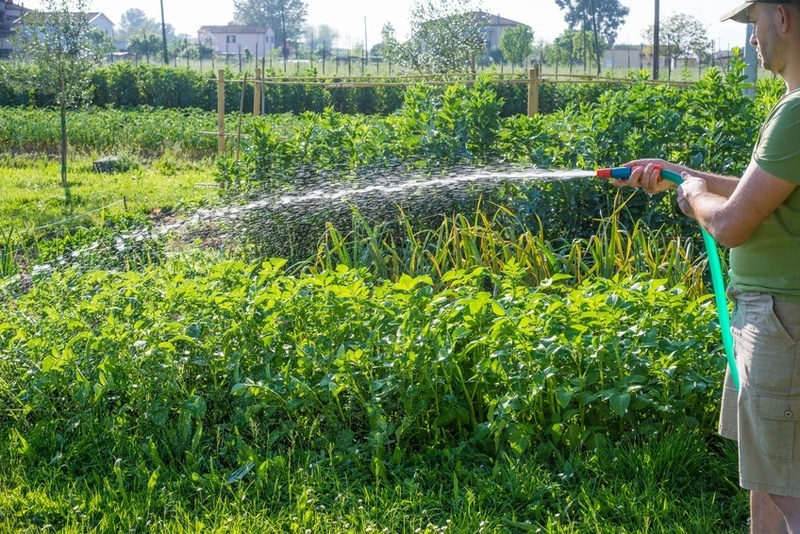 Ideally, you want a hose that will not transfer harmful chemicals to your plants, one that never kinks or tangles and one that helps you conserve water. If you look close enough, you can find a commercial water hose that does all of these things. Take, for example, the types of hoses you can find at Apex Hose. If you purchase plants that have already begun to grow in a pot, a good thing to remember is the roots of the plant are confined to that pot. They're not allowed to spread out, as they naturally want to do. After you take it out of it's pot, use your fingers to carefully break up some of the tightly packed roots to encourage the plant to continue growing. Even something as simple as weeds can be devastating to plant health. Weeds prevent the needed nutrients and sunlight to get to your plants, choking the life out of them. Careful maintenance can assure this will not happen. When maintaining shrubbery, be sure to cut off the branches that are low to the ground. These branches prevent sunlight from getting to the middle of the bush, where they need it most.